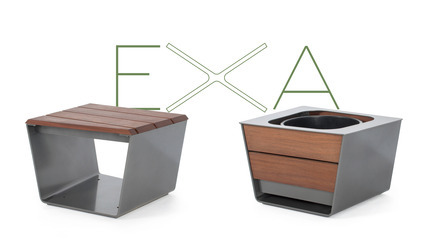 Equiparc and industrial designer Marc Boudreau, working with the company for the third time, are pleased to announce their new EXA collection of site furniture. 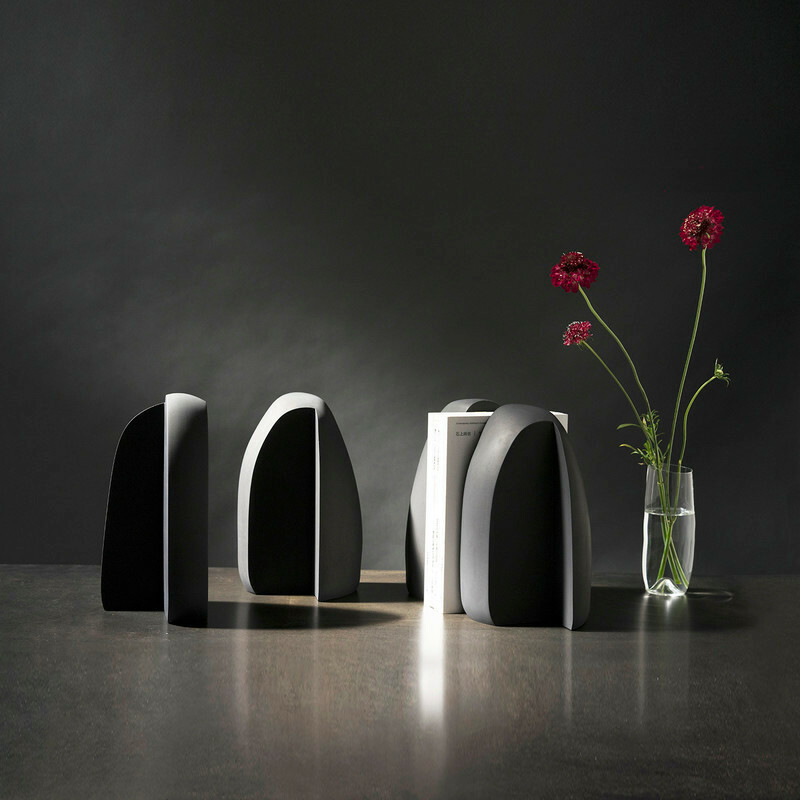 Inspired by the deconstructivist movement and the asymmetrical shapes often seen in contemporary architecture, EXA is based on trapezoidal volumes with irregular angles. 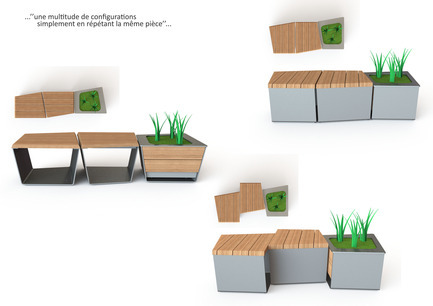 The shape is complex but easy to use, inviting the creation of structured or random groupings. 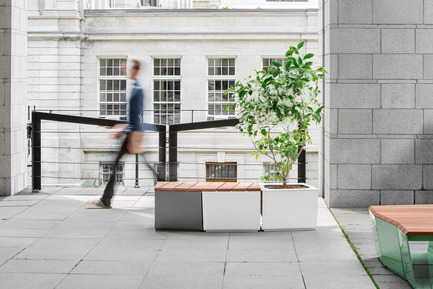 The EXA collection has two basic units, a bench and a planter, that enable a remarkable number of combinations. Juxtaposed units can be arranged into discussion areas, linear and crossed setups, and even individual accent elements. 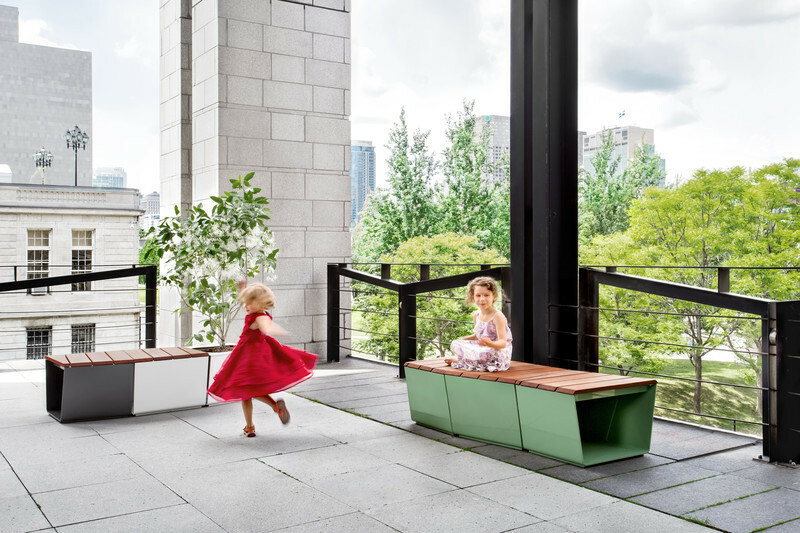 “The challenge was to design a dynamic, daring and fully modular volume – ‘outside-the-box’ – that would give landscape architects and urban designers more flexibility to create customized spaces,” industrial designer Marc Boudreau explains. 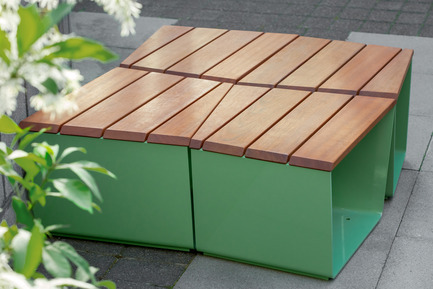 As well as serving as a seat, the bench can also be used as a table or a footstool. 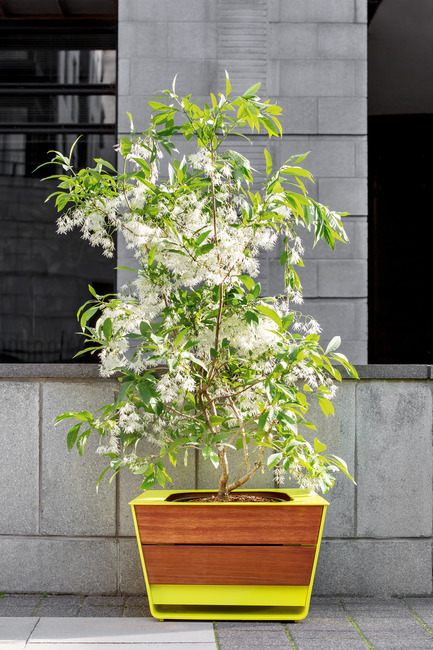 The planter, suitable for several different types of plants, small trees and shrubs, has precisely the same trapezoidal volume and dimensions. It can therefore be arranged on the same principles as the bench. 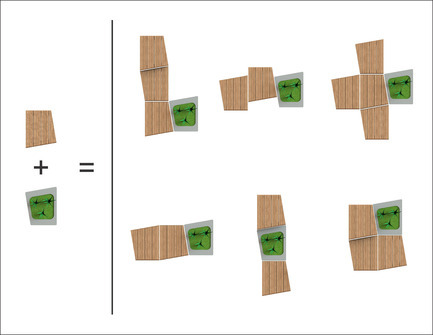 The result: there are infinite possible combinations. 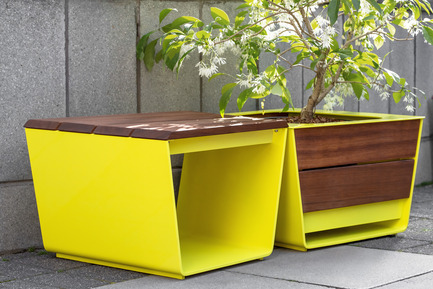 EXA site furniture is also customizable with a wide range of colours and finishes. 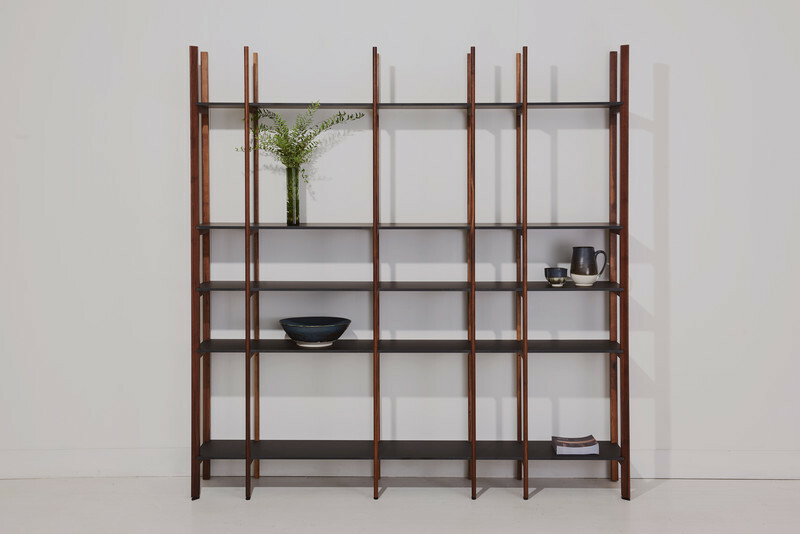 The aluminum structure is available in every colour on the RAL chart, and the juxtaposition of metal and wood provides balanced, refined contrasts between cold and warm, full and empty. 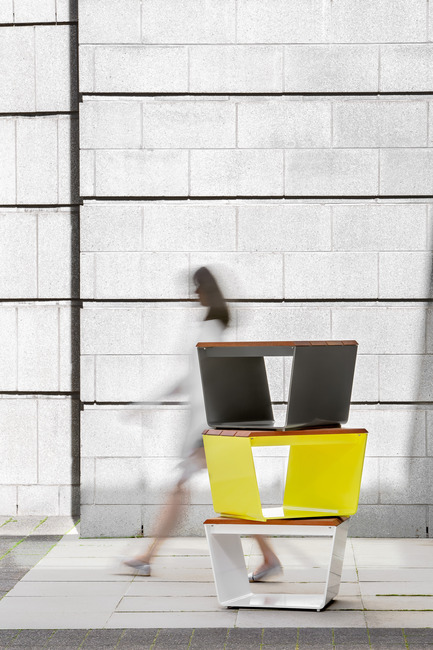 Thanks to its great flexibility, the EXA collection can be adapted to any type of urban or landscape design, public or private: parks, patios, squares, schools, university campuses, offices, multi-unit residential projects and more. 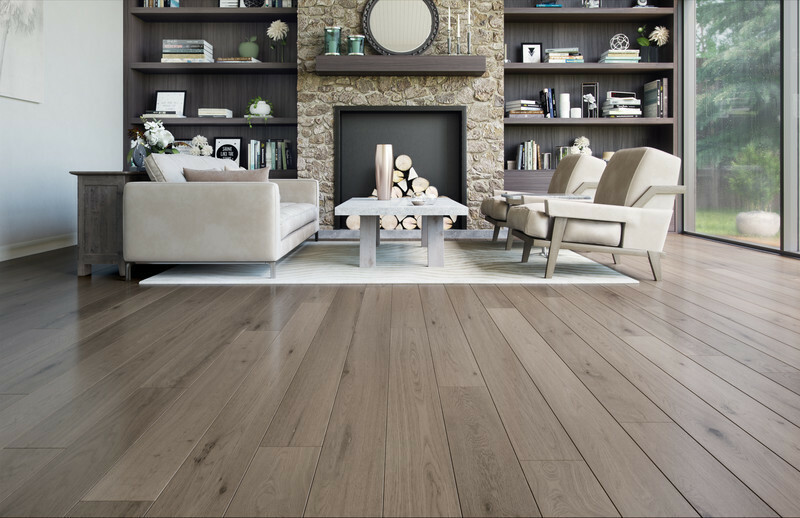 EXA expresses contrasts and contemporary style, while its modularity makes it suitable for any space, no matter how simple or elaborate. 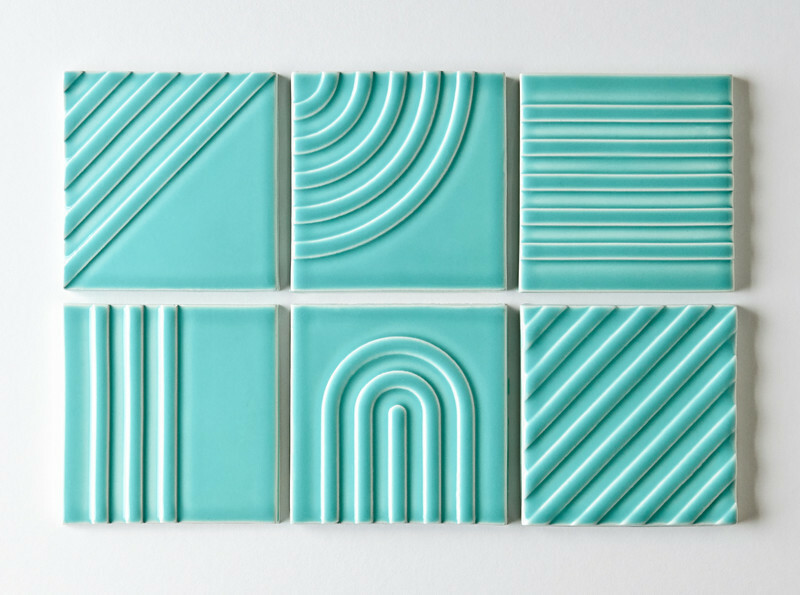 The new collection was enthusiastically received at the 2016 annual meeting of the American Society of Landscape Architects, in New Orleans, and won an industrial design award at Quebec’s Grands Prix du Design 2017. 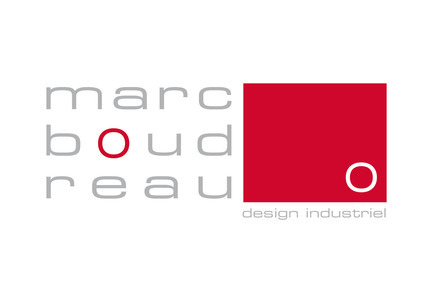 Marc Boudreau has been an industrial designer for more than 20 years. 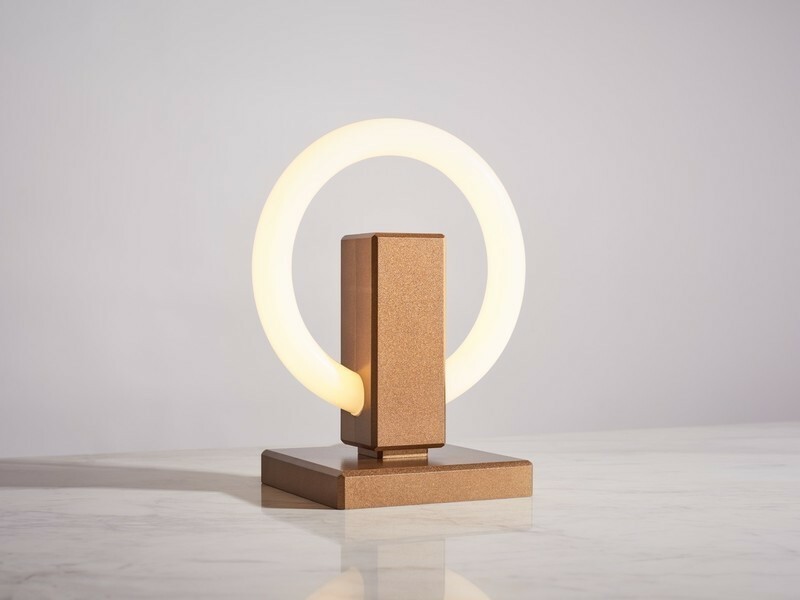 He worked in industry for several years before opening his own design studio in 2002. 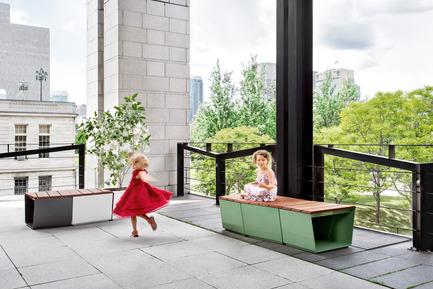 In recent years, he has joined forces with a variety of companies in Canada and the United States to create residential and street furniture, playground equipment and a variety of useful objects. 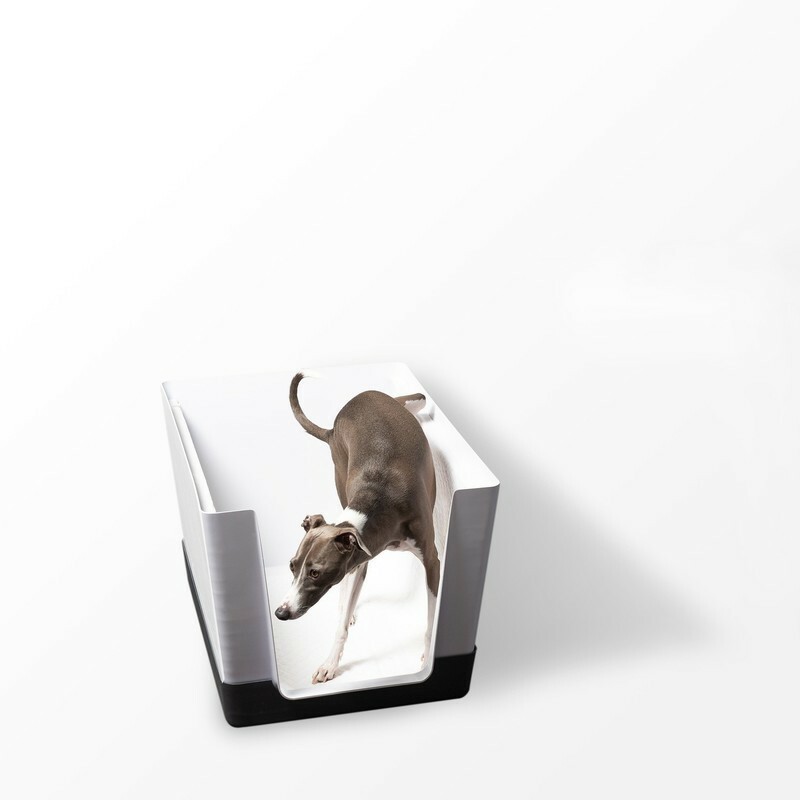 He is the designer of Equiparc’s 25, Plaza and EXA collections. 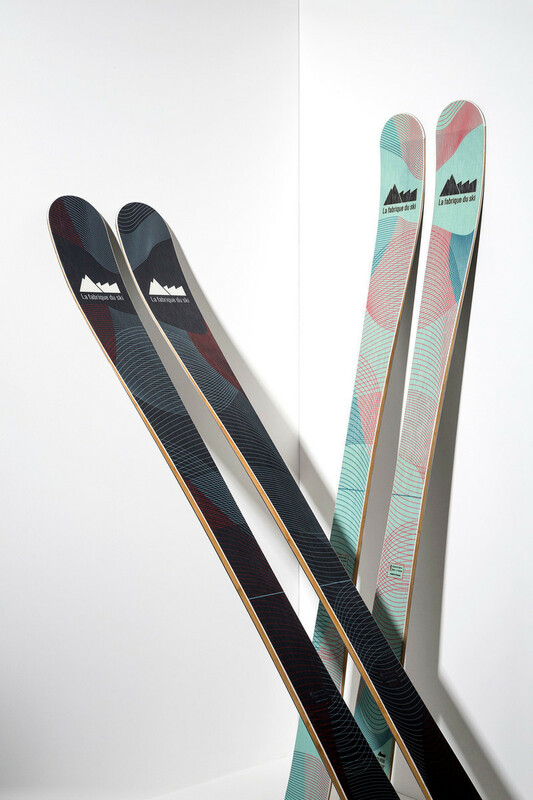 He is a peerless designer who creates refined, innovative pieces that help enhance his clients’ image and competitiveness. 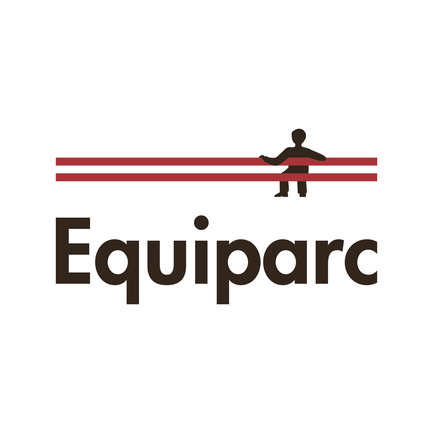 A family company based in Saint-Jean-sur-Richelieu since 1982, Equiparc helps beautify public spaces by manufacturing site furniture with a refined utilitarian character. 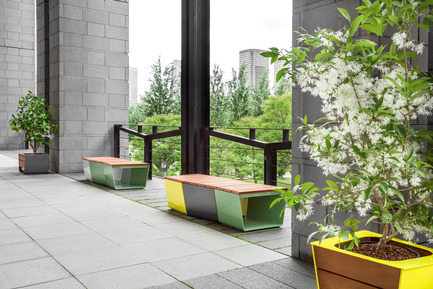 Combining design, quality and durability, the company’s benches, tables, planters and other items make everyday spaces inviting and cheerful. 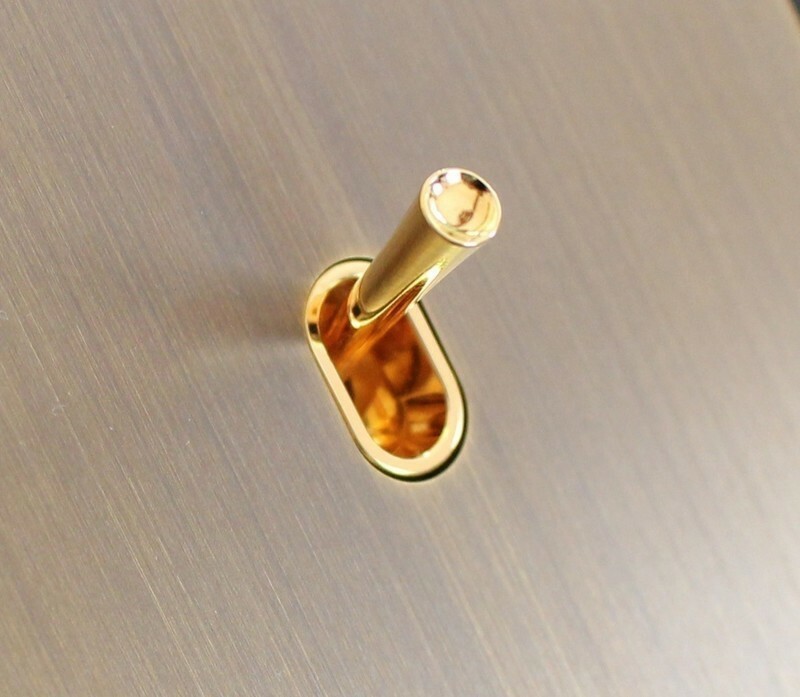 Equiparc’s meticulous attention to detail, premium-quality products and passion for design have earned the company an impeccable reputation over the last 35 years. 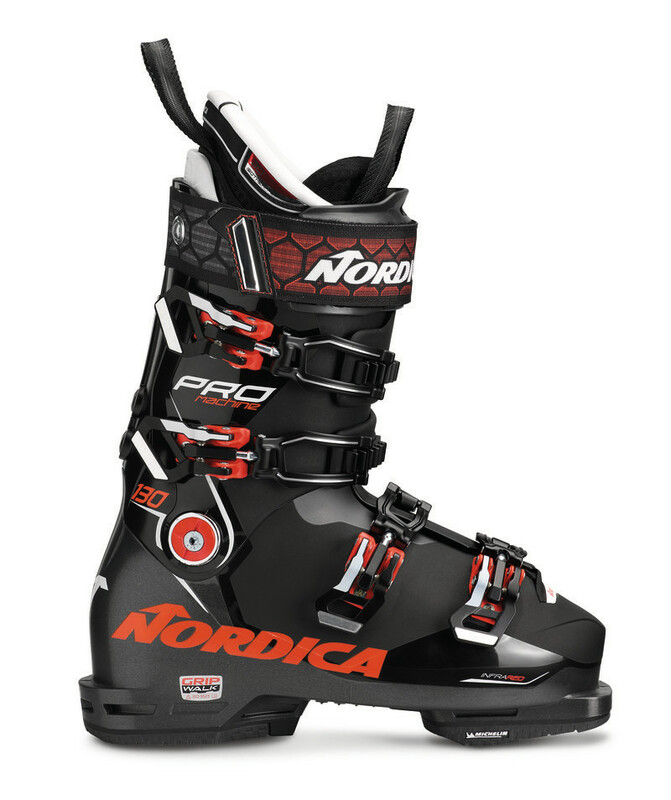 The company’s products are found at high-profile locations such as the Samuel-De-Champlain promenade in Quebec City and Montreal’s Quartier International and Place des Festivals. Responding to a new surge in interest in the creation and revitalization of parks and other public spaces, no project is too big or too small for Equiparc. 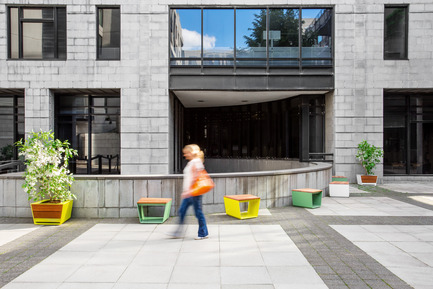 The company offers an extensive range of site furnishings created in partnership with leading architects and designers, as well as the custom design and manufacture of products for major projects.